The winter is well and truly here and to me, that means knitwear, cold weather, parties and late nights, all of which can really take a toll on your skin. 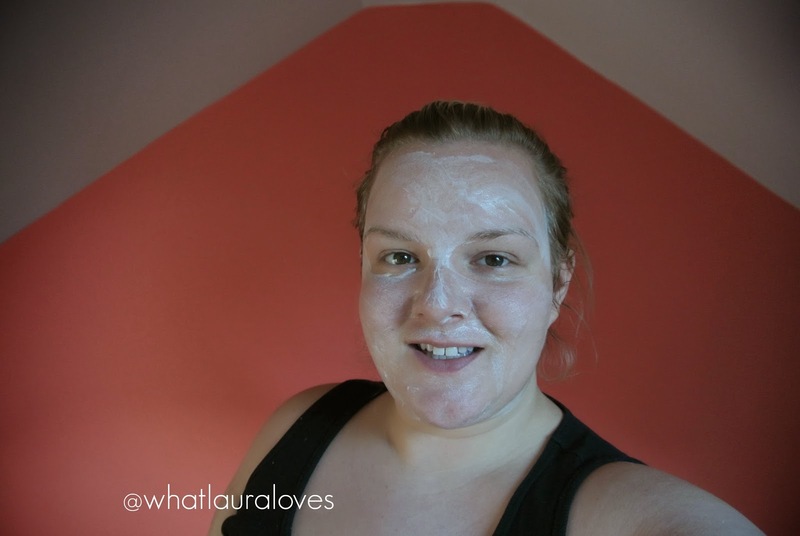 Over the last couple of weeks I’ve been trying out three masks, all of which are perfect to get you through the party season. Here we have the three in questions. These are all completely different masks. that do completely different things. From left to right, we have the GlamGlow Super mud Clearing Treatment, the Novexpert The Repulp Mask and then theres the Avene Soothing Moisture Mask over there on the right. I’ll take each one in turn and let you know how they perform and what they’re good for. Starting with the GlamGlow Mask. This is their latest full face mask and this little sachet serves the whole face. 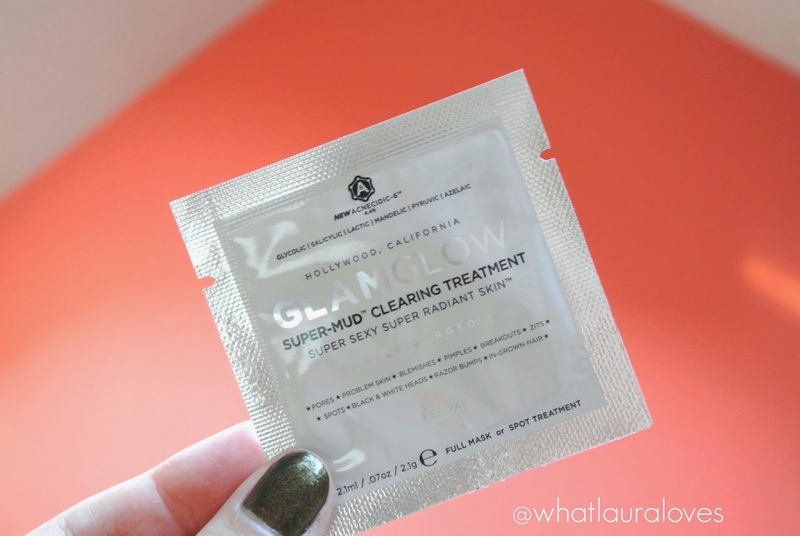 I’ve used several of these samples up over the last couple of months and although I don’t tend to review sample sachets, I’ve photographed this one (and the Novexpert one) because I’ve really enjoyed using it. Rather than apply it to my whole face as I usually would, I’ve tried to apply it to some areas and leave some of the areas free so that you can see a direct comparison and how this works when applied to the skin. The mask feels really cooling when first applied to the skin and feels almost like a gel in consistency but it dries as a mud would and you can feel the tightening effect. It smells fresh like eucalyptus, mixed with liquorice and its very awakening and refreshing. Once applied, it starts to dry fairly quickly and as it does, you can gradually see little dots forming all over the where the skin is and these tend to be bigger where I have the most blocked and enlarged pores (see the comparison above, on and around my nose. These dots show the vacuum effect that this mask has as it draws out excess sebum and impurities from the skin, leaving it looking clearer. 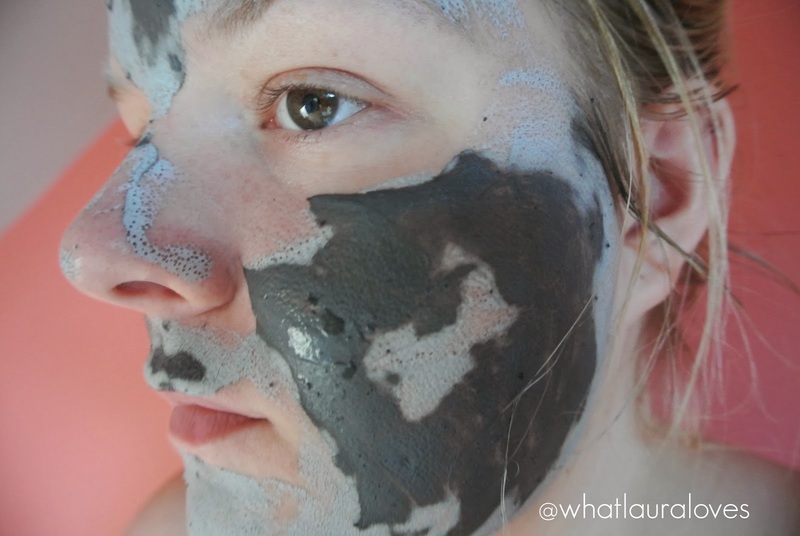 It isn’t as dramatic an effect as the original Mud Mask but the effect can certainly be seen. I find this works best as a targeted treatment to draw out impurities, especially is you have any spots under the surface as it contains azelaic acid that helps to fight break outs and salicylic acid which helps to declog the skin and also minimise pores. This mask will be great for those with congested skin this winter and for those whose skin is clogged after a summer of suntan lotion! It will give you clearer skin, ready for the party season. I wouldn’t say that it is quite as good as the Mud Mask in the black pot but hey, only Jesus does miracles and it would certainly take a miracle to beat that, however it is very good. I’d suggest buying it here for £39.99 as that always seems to be the place for great deals; you can even pick up the mud mask and the super mud pots for £79.99 together here. 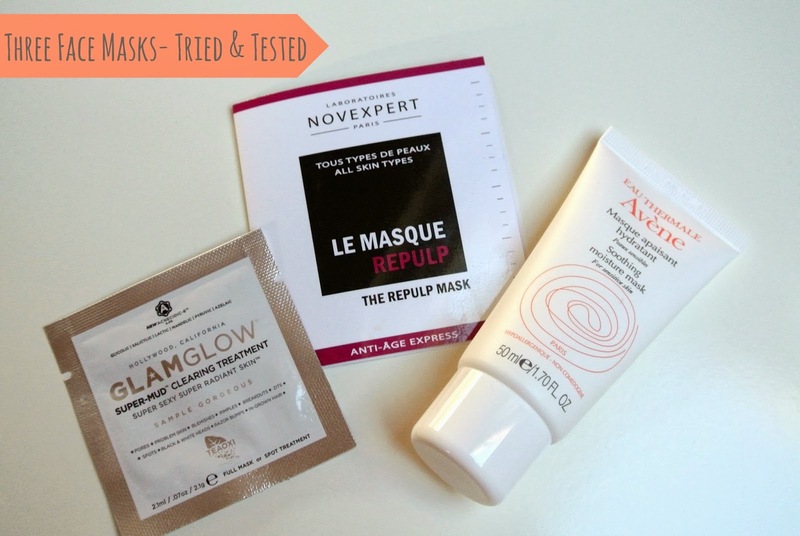 Another few samples I’ve been using up are of the Novexpert Repulp Mask. The Repulp Mask from Novexpert is an anti ageing mask for skin that has been subjected to the cold, sun, pollution or dryness and will provide your skin with a quick shift towards baby soft skin this winter. This Novexpert mask applies like a cream but tightens incredibly quickly on the face as it replumps and regenerates the skin to look younger, firmer and more toned. It gives the feeling of what I would imagine a mild botox to feel like without having to step foot near a needle. After ten minutes or so, you feel as though you’ve had a face lift and that’s when you know that it is time to remove this mask. Warm water and a wash cloth is all it takes and you’re left with super nourished skin that feels much more taught and firm. If you want your skin to look its best at your works Christmas do this year then I’d opt for this mask. For those looking to tighten the skin then the Novexpert Repulp mask is a great option as it contains ultra-high concentrations of two pure hyaluronic acids which attract and retain water within the skin, thus creating a “lipo-filling” action from within the skin. 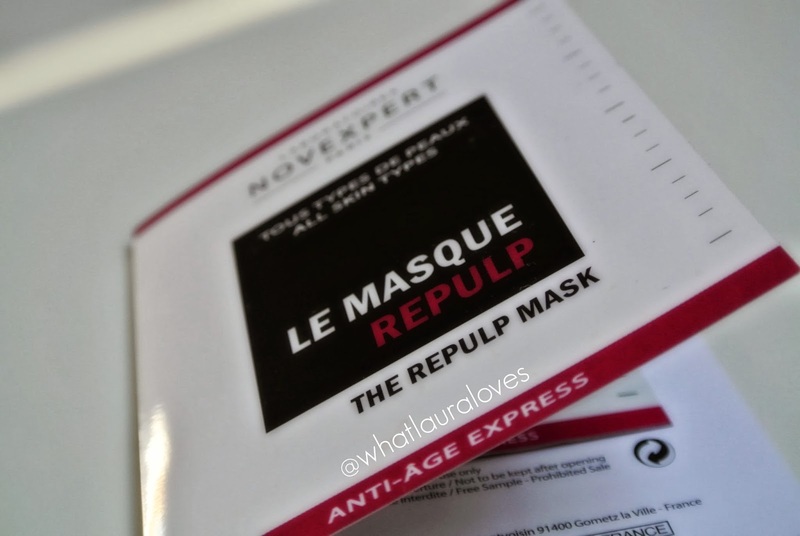 The Repulp Mask also boasts nourishing and moisturising Vitamin E, Pomegranate and Green Tea amongst its ingredients. However the wonderful thing about this mask is actually due something that it doesn’t contain. A recent BBC Watchdog investigation revealed that a preservative called Methylisothiazolinone (MI), listed within the contents of many products, is one of two potential causes of unprecedented levels of severe allergic reactions in consumers. Novexpert is one of the very few skincare brands around to not include MI in its ingredients and that includes The Repulp Mask. Infact, Novexpert products are free from all chemical preservatives, instead they use a natural system of preservation and this is what makes Novexpert unique as a brand. Their products are non-toxic, 100% biodegradable and certified 100% hypoallergenic. It’s no the wonder they’ve won a record number of 11 awards in only 3 years! Buy it here for £26.50. 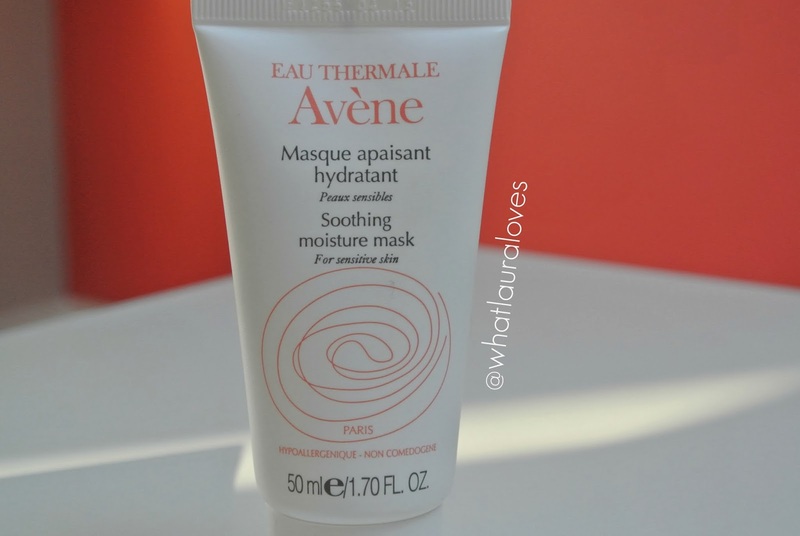 The final mask I’ve been trying out for the winter was a surprise to me and that’s the Avene Soothing Moisture Mask. When this made an appearance on my doorstep I thought, this is going to be great for my sensitive skin readers, they’ll love it but I didn’t realise quite how much I would love it. This mask has been a game changer for me. 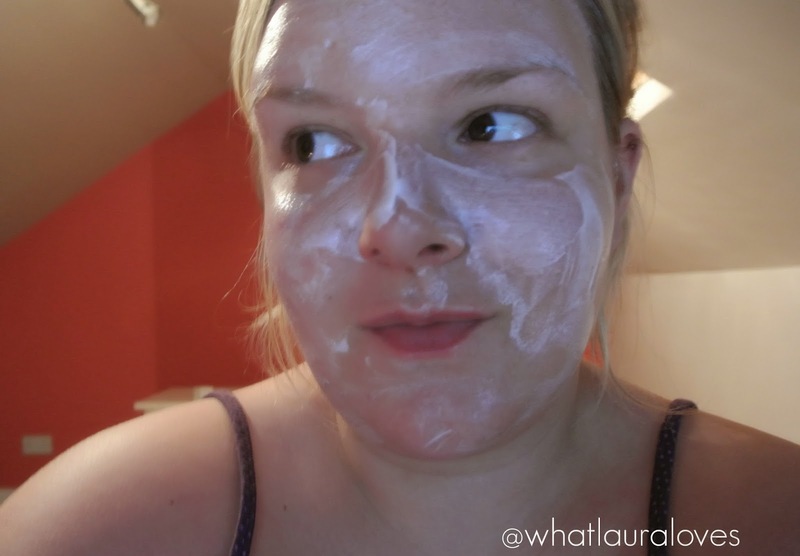 The Avene Soothing Moisture Mask is quite simply, tremendous. Yes, it’s designed to be gentle enough for sensitive skin but that’s in formula, not in moisturising power. Sensitive skin girls you’ll love this, dry skin girls will drink it up and oily skin girls, yes you will LOVE it too. Check out the photo above. I’ve applied the mask thickly and I’ve rubbed it in a little. It sits or sinks into the skin (depending on how much you put on and how much you rub it in) like a moisturiser. When it sinks in, it looks pretty clear. For everyone who has been looking for a moisturiser to use on the aeroplane, like me, this is it. It is quite simply hydration in a tube. This mask is SUPER softening and the product remains creamy on the face, it doesn’t dry down hard so you’re not going to feel like your face is crumbling with this one. It contains Avene’s Thermal Spring Water too which is super soothing, particularly if something has irritated your skin. To use, simply cleanse your face then pop it on for 10 to 15 minutes before wiping off the excess. This makes a great bedtime treat however after recently falling asleep with this on my face and waking up with ridiculously soft skin the next day, I can confirm that it works great as an overnight mask too. Who needs Origins anyway? What masks would you recommend to me this wintertime?